The founding principles of the alumni organization are: to empower, inspire, and support students. With our alumni across the globe and over 50 years of excellence we want to build a culture of philanthropy. Not only will our community have an immediate impact at Cardozo, but long after we have left the crowded 42nd Street hallways. 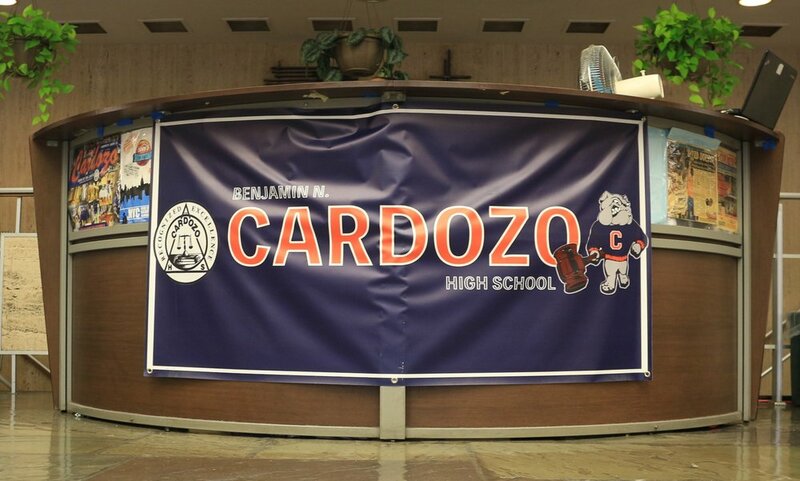 Cardozo is known as a “School with a Heart” - let’s show current students, parents, family, staff, and alumni that we care about the future of Cardozo High School. Every fiscal year we will be looking for support. What we care about is participation. Small gifts add up quickly! The Cardozo Fund is the Alumni Association’s annual giving program. This is our flexible fund meant for current use. The establishment of the Cardozo Fund will help us provide much needed resources to Cardozo High School and aid students as they explore their passions. Gifts will help improve the Cardozo experience to make it the best that it can be. Join the rest of the Cardozo community by giving back today.